This is a rare and unique opportunity to purchase one of the most famous brands in the world with some great New York Metro locations, and $1M in earnings. This profitable franchise network’s Sales is over $14 Million Dollars. This chain of franchises operate 100% absentee owner. The locations have tremendous visibility and some have a Drive Thrus. This opportunity would be very hard to duplicate and would take years and considerable investment in human and financial capital to develop, way more than the purchase price. Selling this Profitable Chain for LESS than $350,000 per location. It is estimated that, on average, more than 185 million people see a KFC commercial at least once a week—that’s more than half the U.S. population. The KFC system serves more than 12 million customers each day in more than 115 countries and territories around the world. 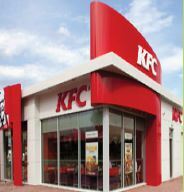 KFC operates more than 17,000 restaurants in the Unites States and internationally. KFC’s parent company is Yum! Brands, Inc., the world’s largest restaurant company in terms of system restaurants, with more than 40,000 locations in more than 130 countries and territories and employing more than one million associates. Yum! is ranked number 201 on the Fortune 500 list, with revenues exceeding $13 billion in 2012. KFC is as committed to the environment as we are to our food and customers. Read more about the steps we have taken to reduce our environmental footprint and plans for improvement moving forward. To find out more about this chain of KFC restaurants please fill out the form below and submit. New York - New York - $5000000 SOLD!